Before writing about health benefits of dark chocolate, I must confess that it is my most favorite food. I can live without any most delicious foods and consummately cooked meals, but eating no dark chocolate for 2-3 days always results for me in depression. As a matter of fact, women need dark chocolate because this food is a great source of potassium. Besides, we all know that dark chocolate anitoxidants make miracles: they help us maintain normal weight and look young and attractive for many years. Lately, the scientists and nutritionists from all around the world have been studying therapeutic values and health benefits of dark chocolate. In particular, a week ago American specialists at Angiogenesis Foundation (Massachusetts) reported that dark chocolate should be considered among the most effective cancer killers. They underline that eating a bar of dark chocolate once a week can lower the risks of cancer, but what is more important: dark chocolate can be used even to inhibit the growth of cancerous cells. William Li, the head of the foundation, reported about these findings at TED Conference earlier this February. “We are rating foods based on their cancer-fighting qualities,” Li commented on the researches done. In this context, he estimated cancer-fighting qualities of dark chocolate absolutely excellent, saying “What we eat is really our chemotherapy three times a day.” This opinion, however, should not make us go and eat ounces of dark chocolate 3 times a day, guys! According to the findings of another brand new research, regular consumption of dark chocolate in small doses can decrease the risks of stroke. These long-term trials involved about 44,500 participants, who ate 1 serving of dark chocolate a week and demonstrated 22% lower incidence of stroke. At that, a smaller group of people, whose weekly dose of dark chocolate was about 50 g were more than 45% less likely to have a stroke. These new scientific discoveries are to be presented in Toronto at the 62nd Annual Meeting of the American Academy of Neurology in April 2010. More and more specialists are talking about the advantages and health benefits of dark chocolate. But this product should not be considered a medication or a cure for various ailments. Consumed in small doses 2-3 times a week, dark chocolate antioxidants can slightly improve our overall health condition and lower the chances of certain diseases, but nothing more! “It’s not anything major, but it’s still an advantage, and even slight advantages can make a difference for some people,” comments Katherine Tallmadge, an experienced nutritionist and spokesperson for the American Dietetic Association. This entry was posted 9 years, 0 months ago. Using Chocolate For Weight Loss? Yes, A Good Idea, Study Says! Right on! 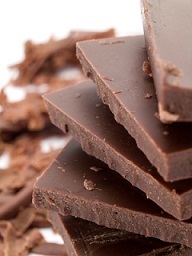 More and more studies show that dark chocolate supports health in many ways. I read an article recently about how pure cocoa combined with other powerful antioxidants like green tea and resveratrol support heart health. I also read that pure cocoa has higher antioxidant potency than dark chocolate. 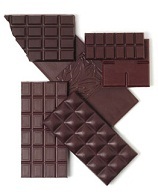 The antioxidant potency of pure cocoa is more than double that of dark chocolate! Thank you very much for the info. My deeper research for the benefits of dark chocolates made me believe its advantages to our body. Now I will regularly eat dark chocolate…………….